In eighteen thirty-six, Texas declared its independence from Mexico. Nine years later, in eighteen forty-five, the United States Congress passed a resolution inviting the Republic of Texas to join the Union as a state. President John Tyler signed the resolution on March first. That was just three days before his term ended and James Polk moved into the White House as the nation's eleventh president. Britain and France tried to prevent Texas from becoming a state. They got Mexico to agree to recognize the independence of Texas, but only if Texas agreed not to join the United States. Texas had two choices. It could become a state. Or it could remain a republic, with its independence recognized by Mexico. The Texas Congress chose statehood. This week in our series, Lew Roland and Jack Weitzel talk about statehood for Texas and about the presidency of James Polk. 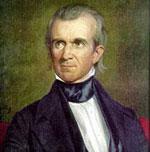 James Polk had campaigned for the presidency on two promises. He declared that he would make all of Texas and all of Oregon part of the United States. The people had elected Polk because they shared his belief that the United States should extend from sea to sea -- from the Atlantic to the Pacific Oceans. They felt it was God's will, and their duty, to spread American democracy and freedom across the continent. In the words of poet Walt Whitman: "It is for the interest of mankind that [America's] power and territory should be extended -- the farther, the better." Traders from New England were the first Americans to visit Oregon. They stopped on the Oregon coast to trade for animal skins. Later, American explorers Lewis and Clark crossed the Louisiana territory to reach Oregon. And in eighteen hundred eleven, John Jacob Astor built a fur trading center at the mouth of Oregon's Columbia River. British explorers had given Britain claims to the same territory. The British Hudson's Bay Company also built a trading center on the Columbia and claimed a large area north of it. The two countries could not agree on how to divide Oregon between them. Since there were few settlers in Oregon, Britain and the United States agreed to occupy the territory jointly. This system worked well until the eighteen forties. Then, thousands of Americans began moving west to Oregon. The new settlers were not satisfied with the joint occupation agreement. They wanted all of Oregon to belong to the United States. President Polk said he thought the United States had strong claims to all of the territory. But he said he would compromise. He offered to divide Oregon at the forty-ninth parallel of latitude. All north of this line would belong to Britain. All south of it -- including the Columbia River -- would belong to the United States. The offer was given to Britain's minister in Washington. He rejected it, refusing even to send it to London. He said Britain would accept nothing but the Columbia River as the southern border of British Oregon. President Polk withdrew the offer. He said America had no choice but to claim all of Oregon. He used strong language and seemed to say that the United States would fight, if necessary, to defend its claim. Polk really did not want war. But he thought a strong position was necessary in negotiating with Britain. He said softer treatment only led to stronger demands from Britain. Polk asked Congress to give him permission to end the joint occupation agreement. It did so in the spring of eighteen hundred forty-six. In London, the British government decided that Oregon was not worth a war with the United States. It had demanded the Columbia River border because of the Hudson's Bay trading center on the river. The center had been moved farther north to Vancouver Island. So there was no real reason to continue this demand. The British foreign minister proposed a treaty that would make the forty-ninth parallel of latitude the border between the United States and British Oregon. The proposal was almost the same that President Polk had made earlier. Leaders in the western United States demanded that Polk reject the British offer. They wanted all of Oregon. Polk decided to let the Senate vote on the British proposal. The Senate accepted the treaty, and Polk signed it. The treaty made the forty-ninth parallel the border from the Rocky Mountains to the Pacific Ocean. The southern border of the Oregon territory was the forty-second parallel. South of this was California. The United States, for some time, had wanted to buy California from Mexico. Former President Tyler had asked his minister to Mexico to try to buy California. The minister, Waddy Thompson, had been to California. He described it as the richest, the most beautiful, the healthiest country in the world. Thompson said the port of San Francisco was big enough to hold all the navies of the world. He said San Francisco, some day, would control the trade of all of the Pacific Ocean. There was little chance that Thompson could get California from Mexico. But then something happened that destroyed any chance of getting California peacefully. The commander of a United States navy force in the Pacific, Thomas Jones, received news that led him to believe the United States was at war with Mexico. He sailed to Monterey, the capital of California. The navy force arrived there in October, eighteen hundred forty-two. Jones and his men seized Monterey and held it for two days. He found he had made a mistake and returned the town to Mexican officials. Jones apologized. But his actions greatly angered Mexican leaders. They refused even to talk about selling California to the United States. Mexico broke relations with the United States when Congress approved statehood for Texas. 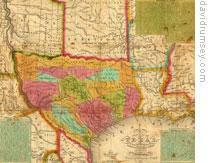 Mexican officials had warned that Texas statehood would lead to war. After Polk became president, he sent a representative to Mexico to try to establish diplomatic relations again. A weak government was in power in Mexico, headed by President Jose Joaquin Herrera. Herrera at first agreed to meet with the American, John Slidell, to discuss four offers from President Polk. Earlier, Mexico had agreed to pay more than two million dollars for damages claimed by Americans. But it did not have the money. Slidell was to offer to pay these claims if Mexico would accept the Rio Grande River as the border between Texas and Mexico. And America would pay Mexico five million dollars for New Mexico and twenty-five million more for California. If these offers were rejected, Slidell was to try to buy part of California for five million dollars. Slidell arrived in Mexico City in December, eighteen hundred forty-five. The Mexican government had grown even weaker. And Herrera was afraid he would be forced from power if he met with the American diplomat. The Herrera government fell anyway. And the new Mexican government refused to talk with the American representative. Slidell returned to the United States, firm in the belief that only force could win the Mexican territories the United States wanted. President Polk shared Slidell's belief. He learned in January, eighteen hundred forty-six, that Mexico had refused to negotiate with his representative. Polk had wanted a peaceful settlement of the differences with Mexico. This now seemed impossible. Perhaps, he thought, a more forceful policy would make Mexico negotiate. President Polk had sent several thousand American soldiers to Texas six months before, when Texas accepted statehood. This force, led by General Zachary Taylor, had camped near the town of Corpus Christi at the mouth of the Nueces River. Polk now ordered Taylor's soldiers to the Rio Grande River. He told them to stay on the north side of the river. Should Mexico attack, Taylor and his men were to strike back as hard as possible. General Taylor was glad to get his orders. For months, his men had been training at Corpus Christi. They were ready for action. Our program was written by Frank Beardsley. The narrators were Lew Roland and Jack Weitzel. 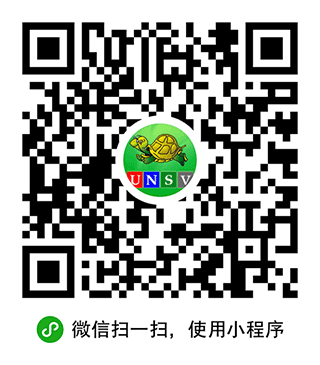 Transcripts, MP3s and podcasts of our series can be found along with historical images at www.unsv.com. Join us again next week for THE MAKING OF A NATION -- an American history series in VOA Special English. at that time, the America would negotiate to buy that extensive territory , like California, only with twenty-five million dollars and they did it before long. it was really an exellent deal with the proof of history. from then on, the America extended his territory from sea to sea--- from the shore of the Atlantic to the Pacific Ocean.